I absolutely love Thailand, it is such a welcoming, varied and fun country to travel in. With Challenge Central’s first organised cycling tour to Thailand, I’ve taken the opportunity to spend a few extra days before and after the cycling begins. Apart from eating Thai food and drinking beer in Bangkok with the Challenge Central crew, I’ve also visited the Grand Place, been measured by a tailor and had my muscles annihilated from a Thai massage. 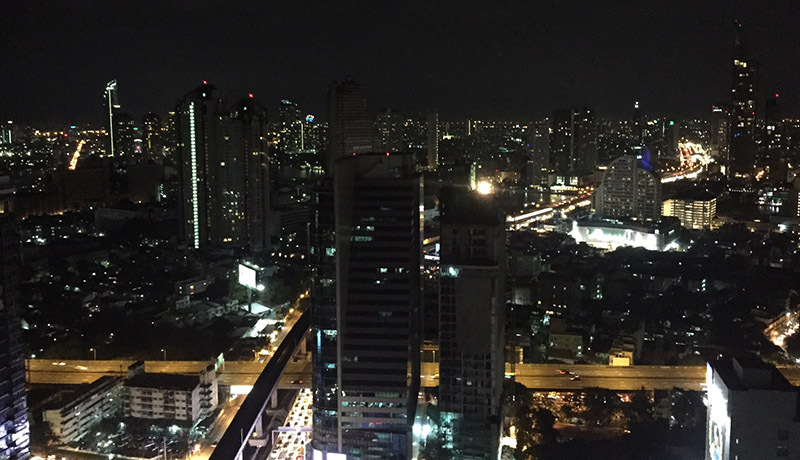 We are staying in the 4* Mode Sathorn in Bangkok, which offers a truly magical view over the city lights from their rooftop bar on the 38th Floor, as picture below tries but fails to give the view justice. The cycle tour officially starts tomorrow, although it is only a get-together in the evening to meet all the participants and the local cycle tour leaders. After a riverboat journey and a couple of cocktails, our Thailand adventure will be underway.